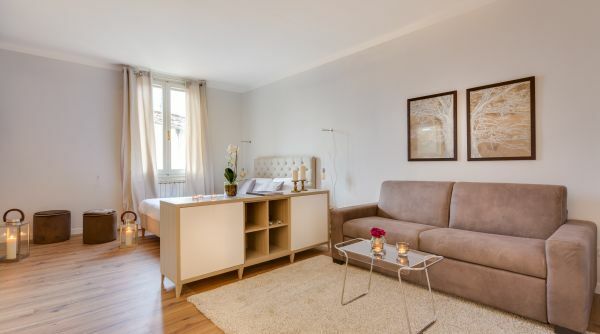 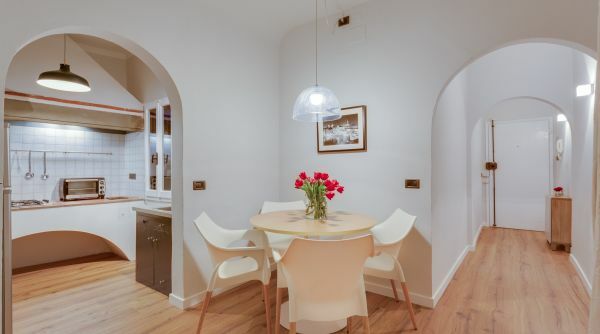 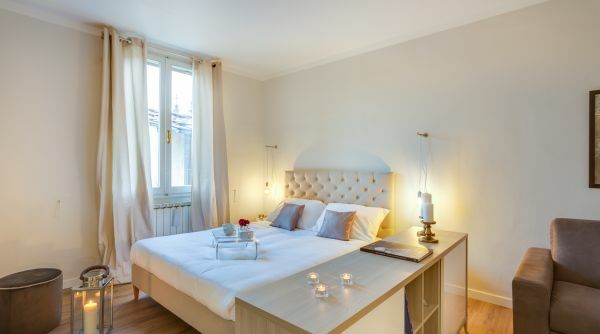 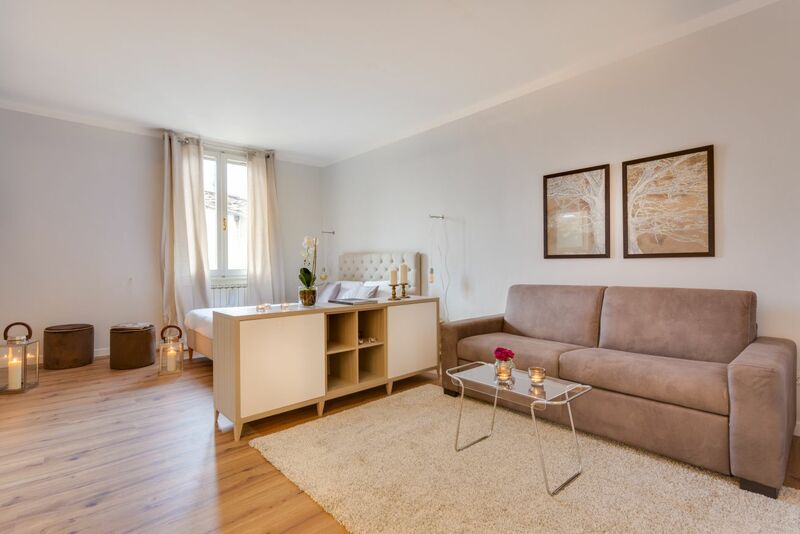 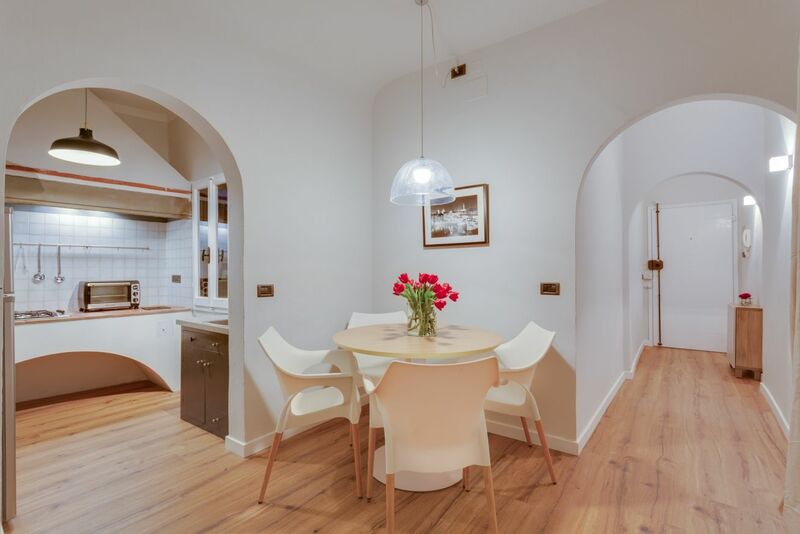 This recently renovated and beautifully decorated studio apartment is located on one of the main streets of the lively and picturesque Oltrarno zone. 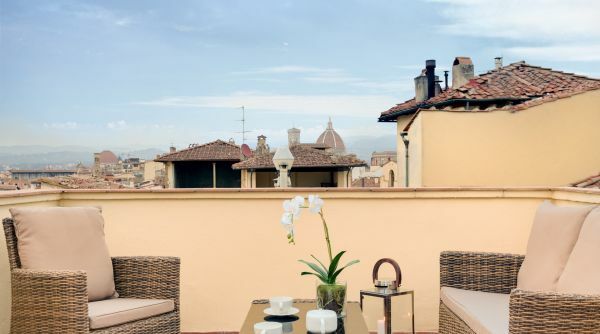 Here you find yourself in the midst of local life, surrounded by traditional cafès, trattorias and markets. 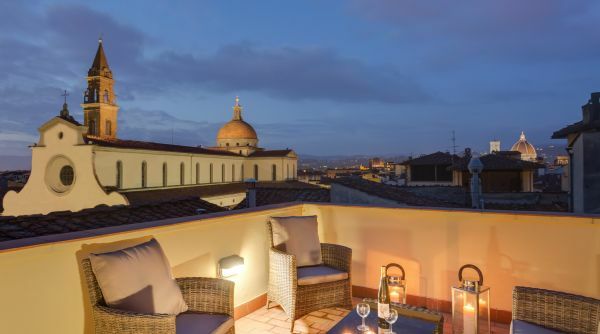 Santo Spirito, one of the most authentic piazzas in Florence, full of local aperitivo places, is just a 5-minute walk away. 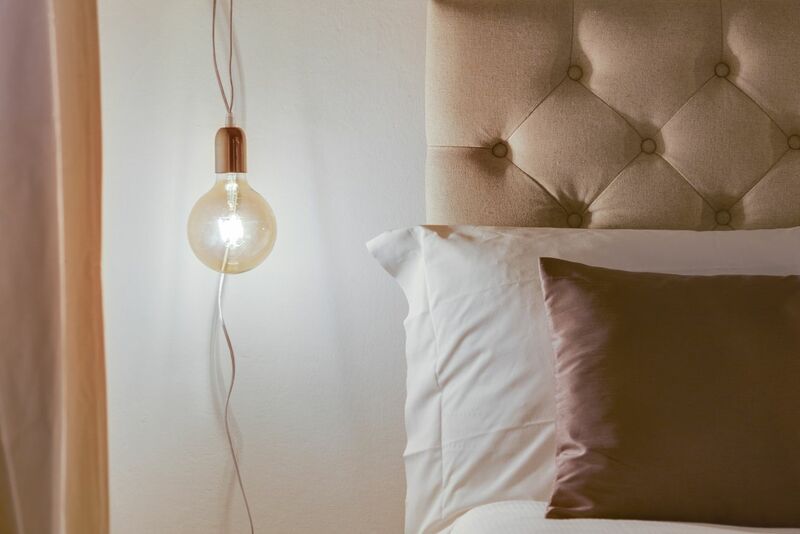 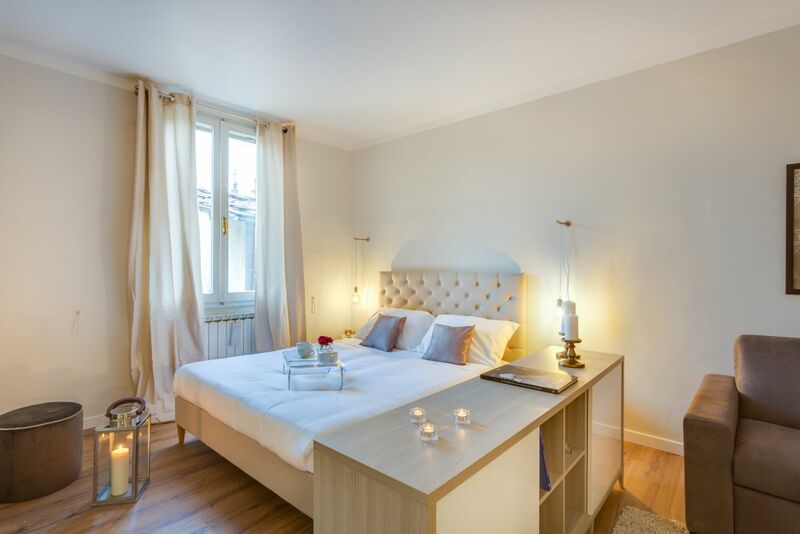 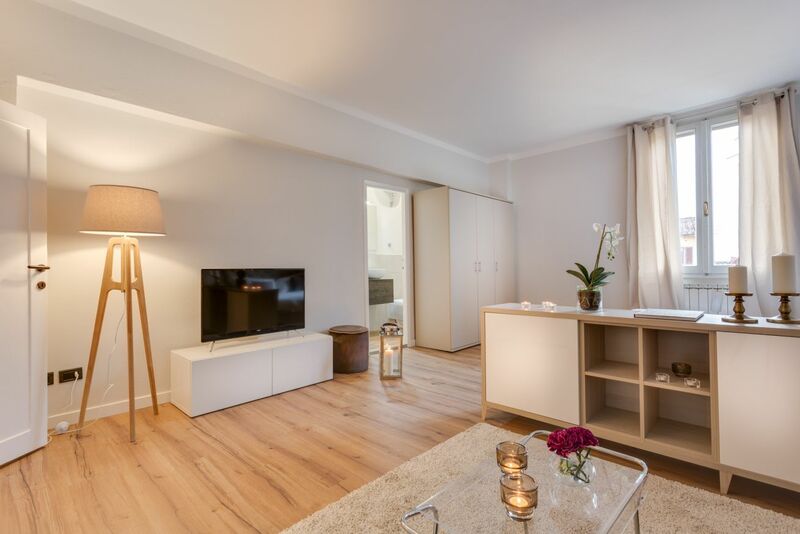 The apartment is located on a 4 EU | 5 US, so you will get a chance to walk off all the calories from the delicious temptations readily available in the neighbourhood! 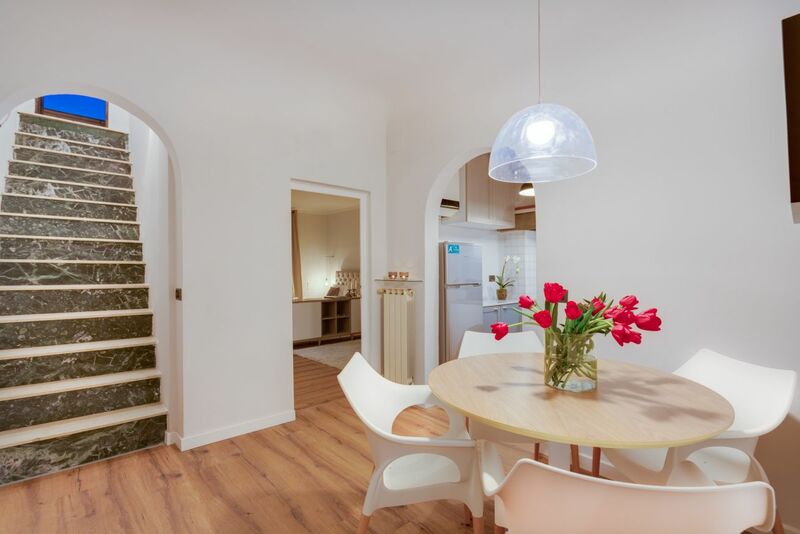 As you walk into the apartment you find yourself in the dining room space which has a table for 4 people. 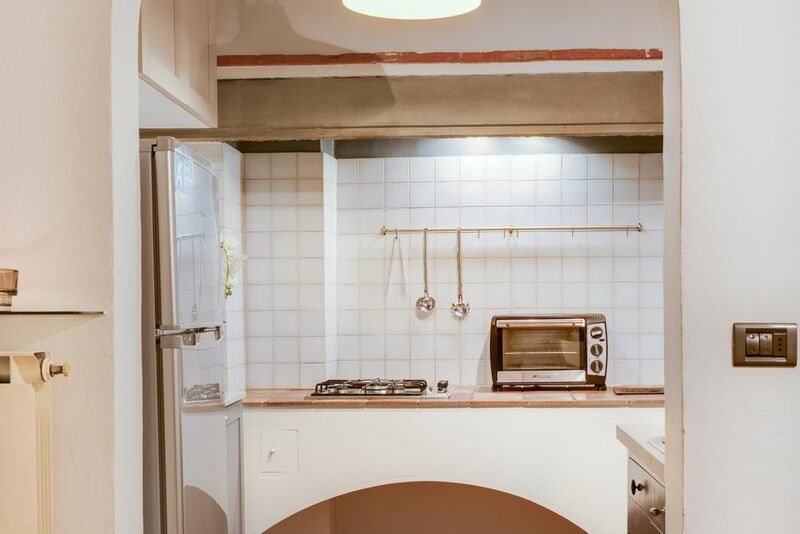 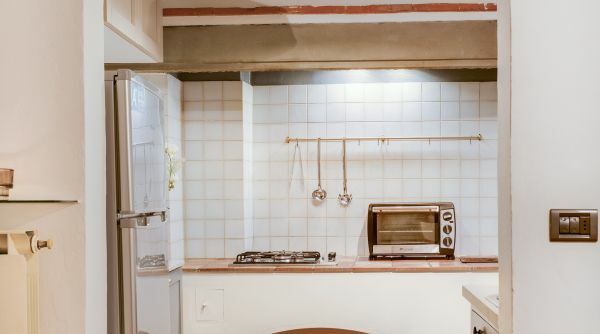 The kitchen, which is right next to it, is functional and fully equipped featuring an oven, microwave and stove. 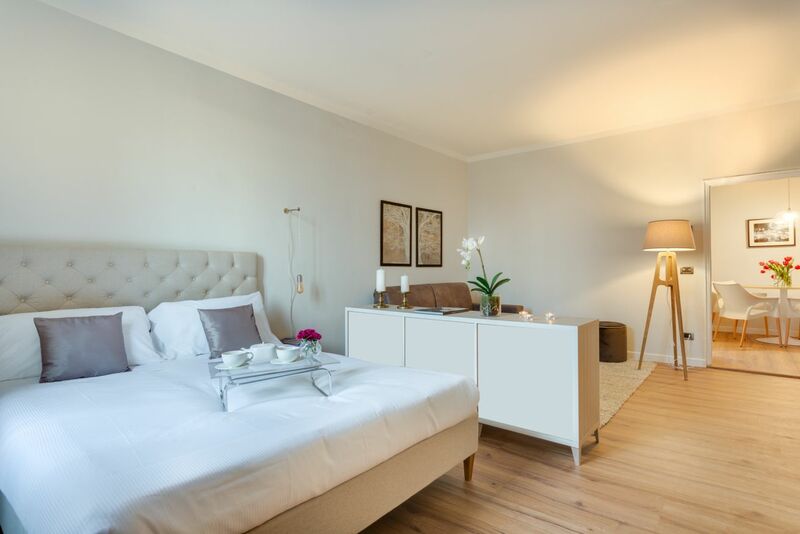 The living room and bedroom space are combined into one spacious area. 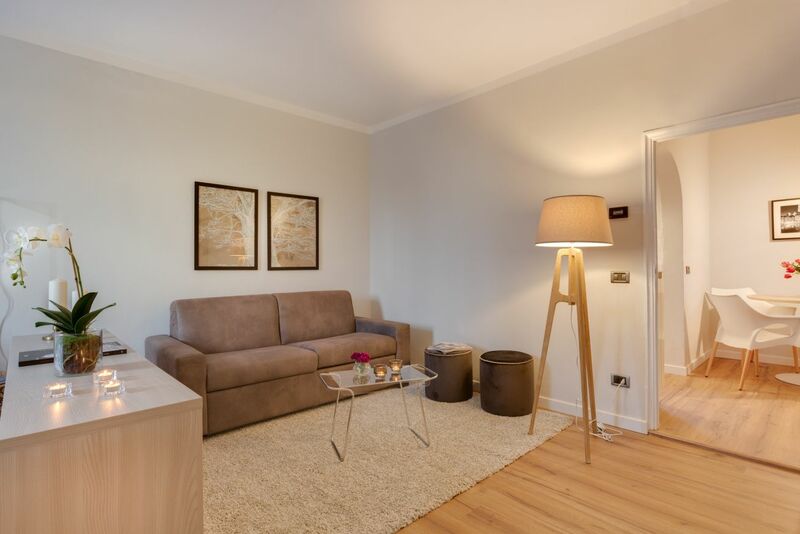 There is a double sofa bed and a TV, as well as lots of storage space enough even for a long term rental. 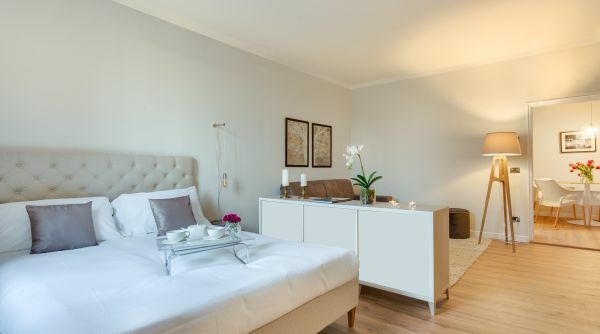 There are two twin beds that can be united into a comfortable double. 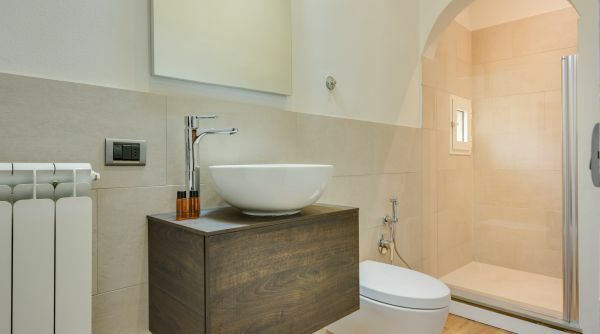 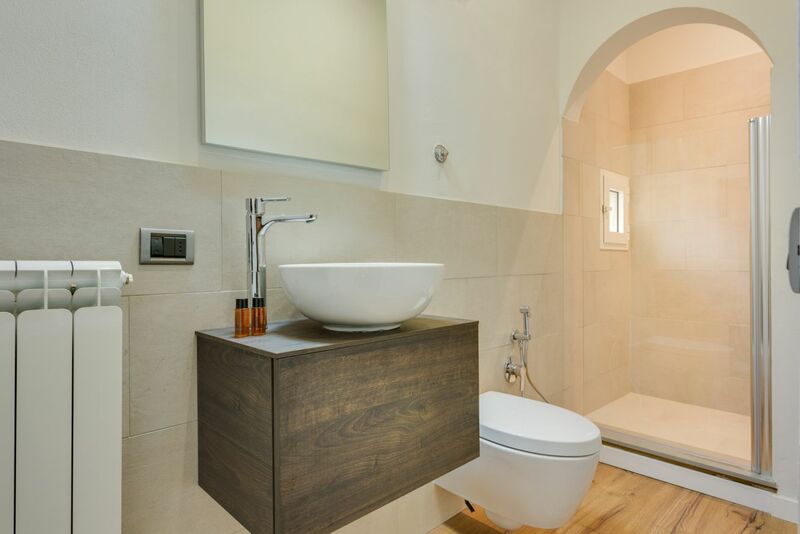 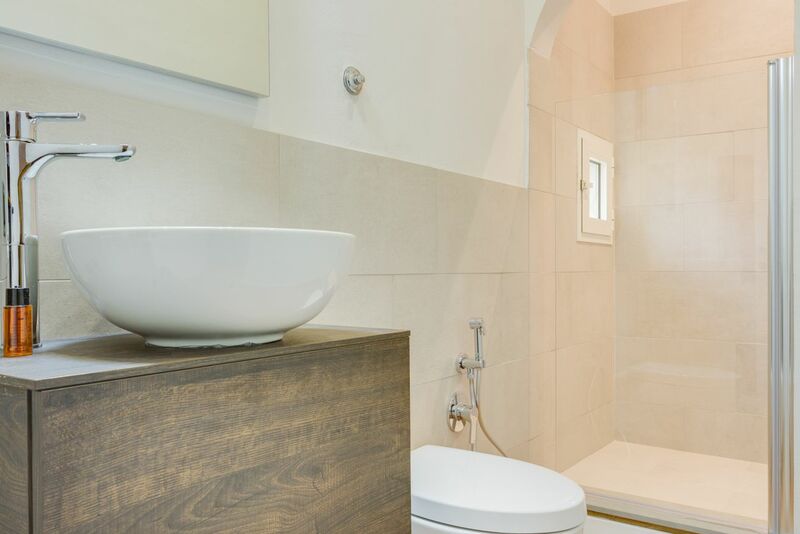 The bathroom is modern and has a nice, fresh look and a spacious glass shower. 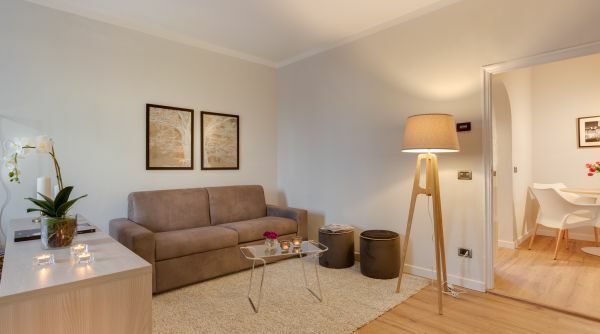 There is parquet and AC throughout the apartment, guaranteeing the maximum comfort for guests. 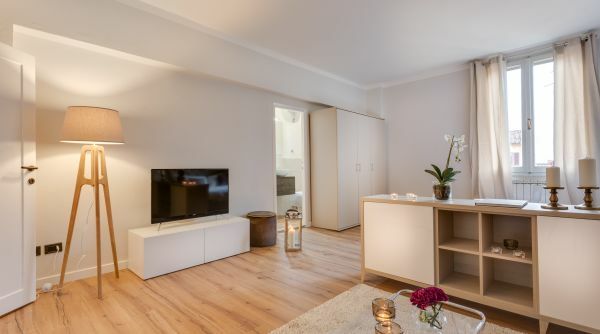 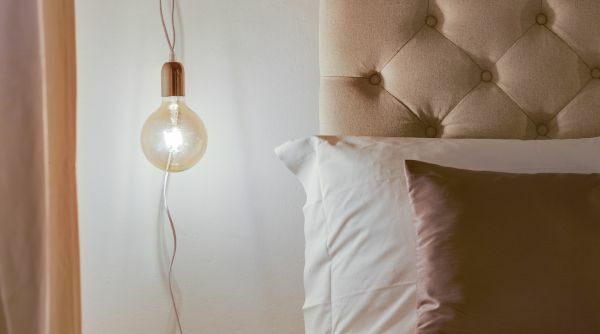 The space is very bright and has a nice, relaxing feel due to the light palette of the walls and furniture. 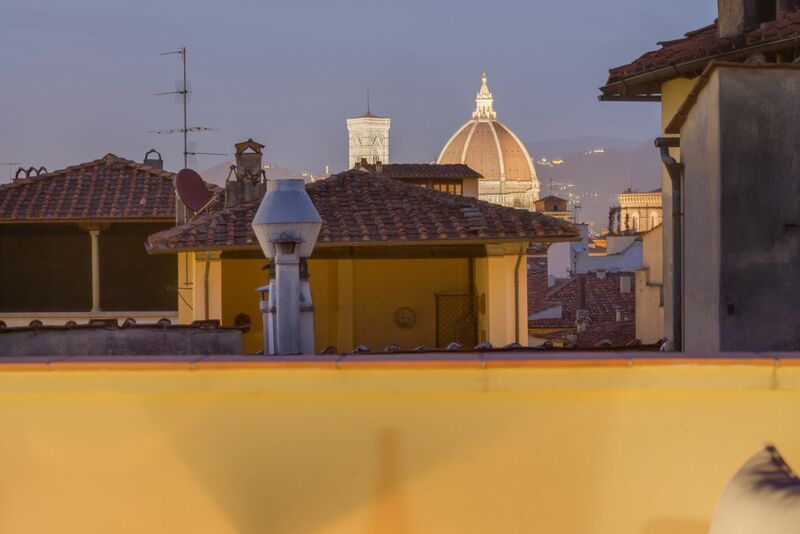 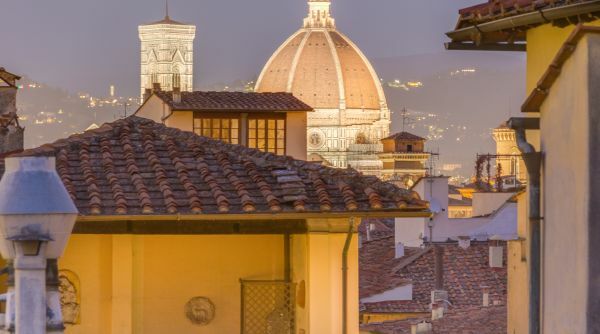 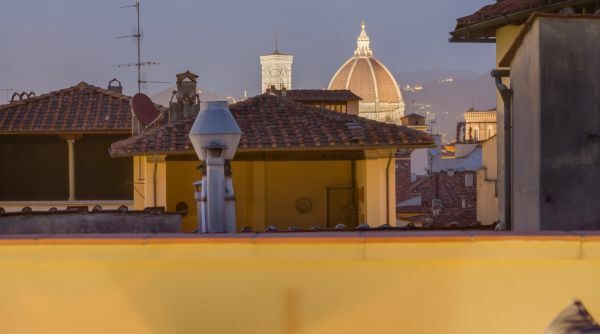 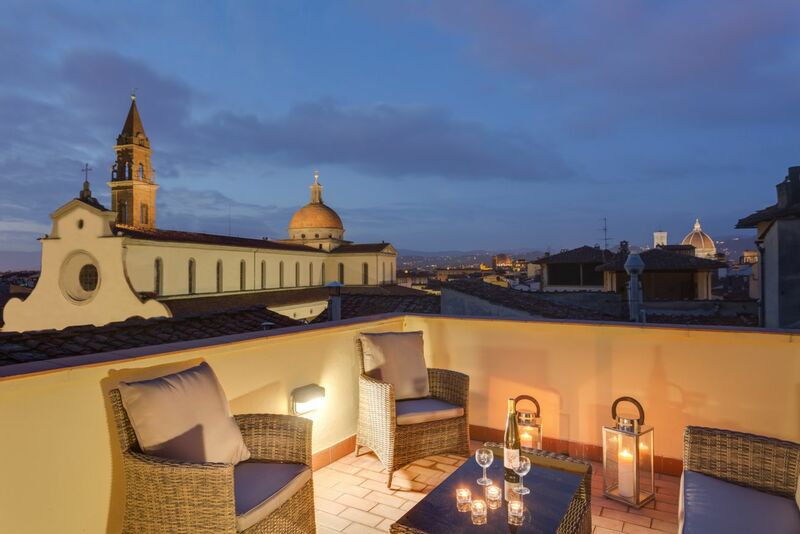 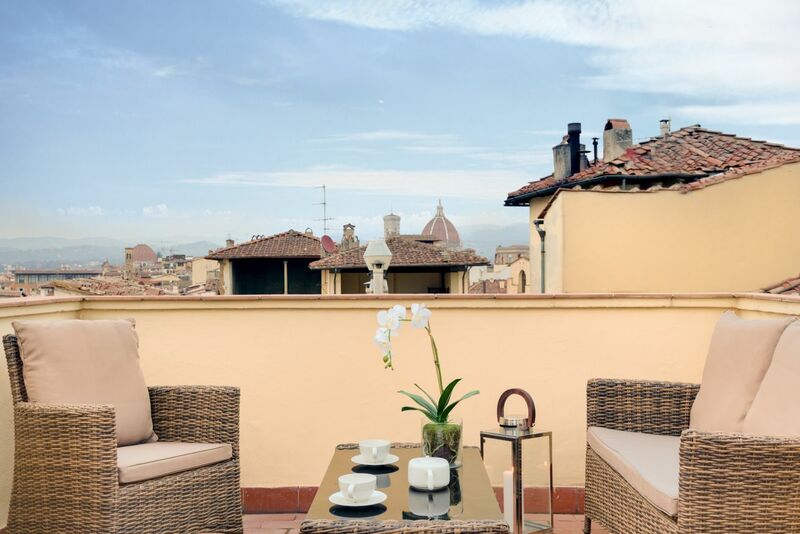 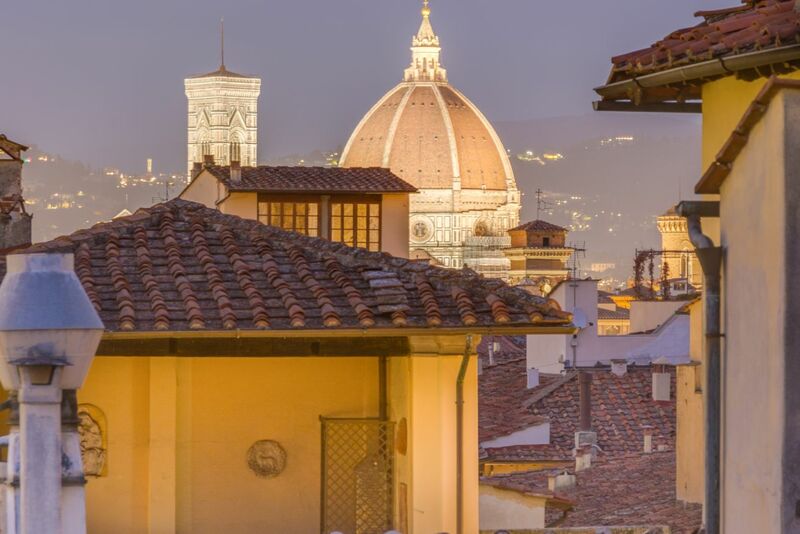 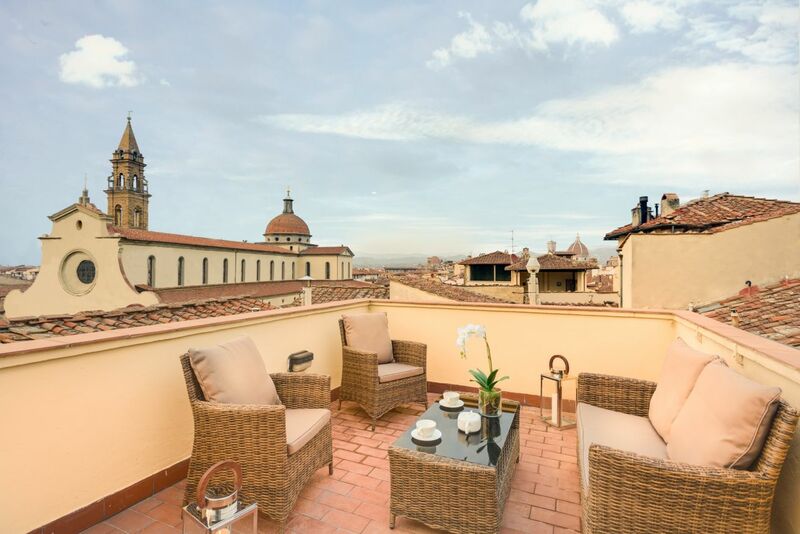 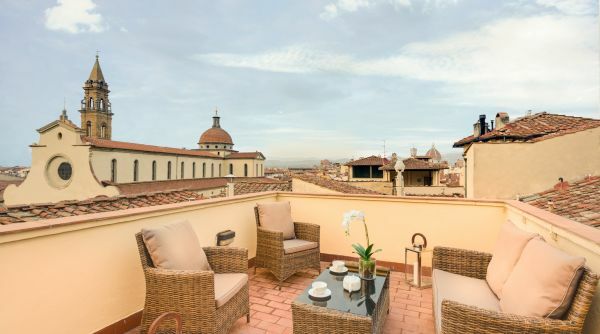 The most amazing feature of the apartment is undoubtedly the terrace which has a 360° view of Florence's rooftops and monuments. 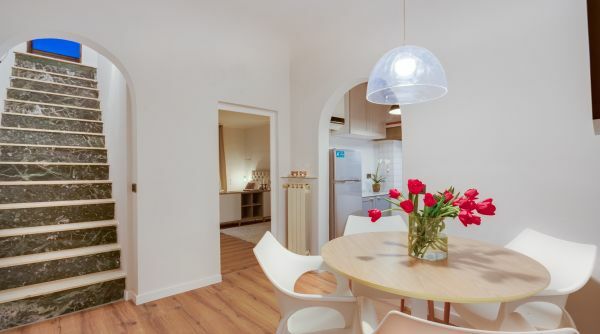 It is comfortably set up with chairs and a table, so guests can enjoy the incredible atmosphere of this unique location.